PocketJIRA, you will be able to view, create, and update JIRA issues, comments, follow workflows, and more from the palm of your hand. For more information, visit the PocketJIRA homepage at www.pocketjira.com. 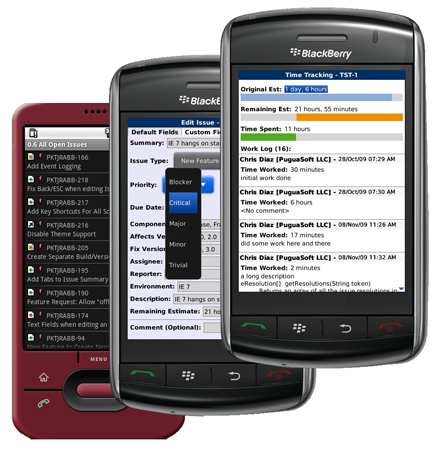 With Unsend Email for the BlackBerry, you will never have to worry about accidentially sending or forwarding an email to the wrong person. With the simple press of a menu button, you can “unsend” an email moments after sending it (configurable from 5 seconds to 30 seconds). Forgot to add an attachment or include additional recipients to an email? No problem, simply press the menu button and select “Unsend Email” and your sent email will be undone. You can now edit the email body, add/remove attachments and recipients, and then re-send it or save it as a draft. For more information, visit the Unsend Email homepage at www.unsendemail.com. 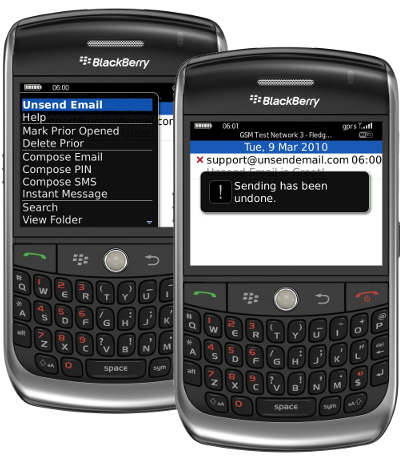 You can also download Unsend Email from the BlackBerry App World.